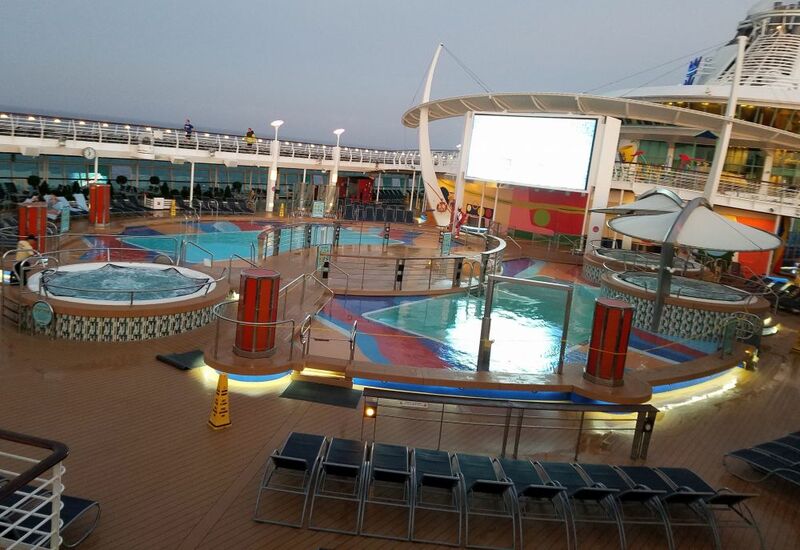 This is the main pool area that everyone could use on the cruise ship. There was another just for kids and one just for adults. The running track went around this whole area above it - you can see people running in the background. This was around 6:30am and the pools did not open until 9:00am.